The Stubby Adjustable Wrench Set comes with 2 wrenches; the small wrench which features a 3.5" handle and fits sizes -3AN up to -10AN, and the larger wrench which features a 4.5" long handle and fits sizes from -3AN all the way through to -20AN. These are perfect when making adjustments in tight spaces such as engine bays. Available in either Blue, Black or Silver anodised finishes. Available singularly or as sets, Aeroflow's Aluminium Wrenches provide a perfect fit and feature radius corners so they won't mark your fittings. All wrenches are hard anodised black and size stamped for ease of use. Double Ended and Single Ended -20AN Wrenches only available separately. 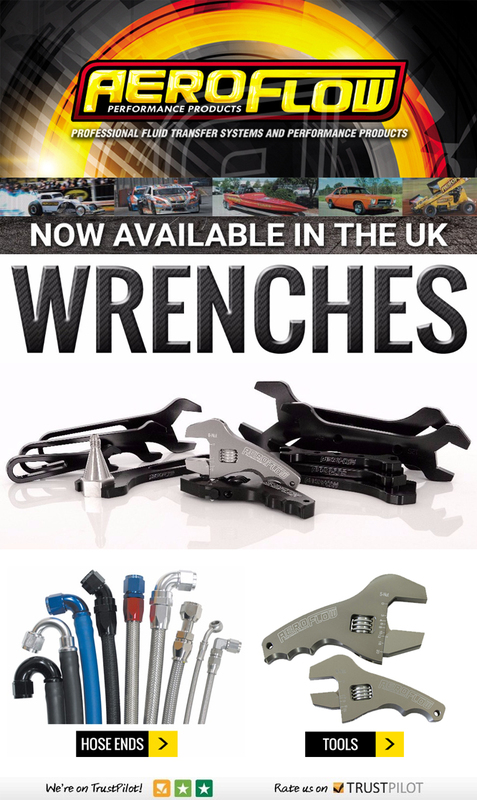 The Double Ended Wrenches are available to suit Socket Nut and B Nut sizes from -3AN through to -20AN, perfect for hose end assembly. The Single Ended Wrenches are available to suit B Nut sizes from -3AN to -20AN and are ideal for removal and installation of assembled fittings and lines. To complete the range, Aeroflow also manufacture lightweight Billet Adjustable Wrenches with an ergonomic grip, and Wheelie Bar Spanners with a 7" (180mm) long handle precisely marked with both Metric & Imperial sizes for checking and making last minute adjustments to wheelie bars. Available in either Blue, Black or Silver anodised finishes.